okay it’s been like over a decade since i last got high but i swear i’m not supposed to be sauteing my weed?? @mayalaen or @ anyone who makes brownies?? What is this new millennial bs? I’ve never smoked weed, and I’ve only made the brownies a few times. The way I get the Saturday night brain reset dose is through carefully-measured gummies from a local dispensary. They tell you exactly what strain it is and exactly how many milligrams is in each gummy so you can get just what you want/need. Weed is the only “drug” I’ve ever tried besides doctor-prescribed medications, and I’m not into all that making it into butter or using it as an additive to my drinks or topping for my food. I think weed tastes nasty, so a sugary gummy is a quick way to get it into my system without smoking it (I don’t like the damage smoke does to lungs, so I’ve never smoked anything). i need opinions – liveblogging while… altered? So I take gummies (medicinal weed in measured doses) on Saturday nights to “reset” my schizophrenic brain and keep me doing well throughout the week (huzzah for no psychotic episodes in well over a year!). Buuuuut, that means I’m pretty wasted on Saturday nights. After liveblogging a few fics that one time when I was super high and seeing what a kick some of you got out of it, I wondered if maybe I should try that every Saturday night. Anybody have opinions about it? I would need to do it with either fics that were by friends who knew I meant no offense by anything I said while high or writers who would never know what I was doing. Maybe you guys could suggest fics for me to liveblog? This seemed to go well last weekend, so I’m going to be doing it again tonight. I have a list of victims guinea pigs who offered up their fics, and if you’d like to be added to the list below, just reply to this or IM me. Hey tentacle squad, I could use your help! My sister just told me she’s bringing her boyfriend with her to visit for Xmas. 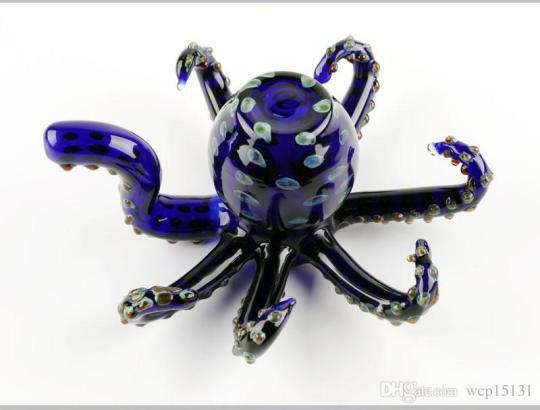 When I asked what to get him, she said he likes weed and octopuses. Im not really down with the first option (as much as I’m sure he’d be down) so I’m trying to think of what cool octopus thing I could get him. @mayalaen @formidablepassion @unforth-ninawaters @maliciouslycreative @omgbubblesomg @jhoomwrites anyone?